Graduates from the 2015 Manassas Project SEARCH program display their certificates of completion. From left to right: Maritza Rivers, Demetrius Wade, Patrick Robinson, Khayree Moore, and Jazmine McKevie. Not pictured are Yesica Langunas and Jewell Moore. 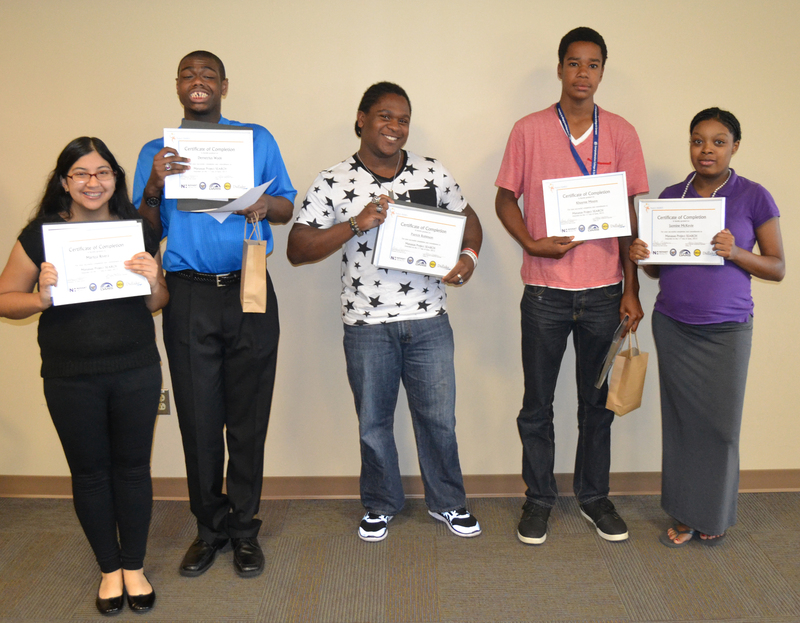 Graduates from the 2015 Portsmouth Project SEARCH program pose with their certificates. 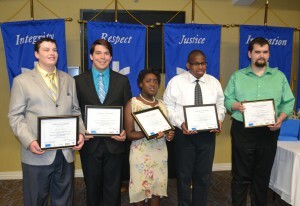 From left to right: Joseph Hanes, Brenden Wood, Rachel Thompson, Marcus Harrington, and David Doyle. Didlake celebrated two special commencements last week. After completing a one-year internship program that prepared them for employment in the community, seven students with disabilities graduated from the Project SEARCH program hosted by Novant Health Prince William Medical Center in Manassas. Five students with autism spectrum disorder (ASD) graduated from the Portsmouth program, which is hosted by Bon Secours Maryview Medical Center. This was a fourth year for the Manassas Project SEARCH and the second year for Portsmouth. These Project SEARCH programs are two of several in Virginia, all of which are conducted in partnership with a host employer, a local secondary school that works in concert with a community rehabilitation program, the Virginia Department for Aging and Rehabilitative Services (DARS) and Virginia Commonwealth University (VCU). In Manassas, the local partners were Novant, Manassas City Schools and Manassas Park Schools, and Didlake. The program in Portsmouth is a partnership between Bon Secours Maryview Medical Center, Southeastern Cooperative Educational Programs, and Didlake. The 2015 graduates from Manassas are Yesica Langunas, Jasmine McKevie, Jewell Moore, Khayree Moore, Maritza Rivers, Patrick Robinson, and Demetrius Wade. 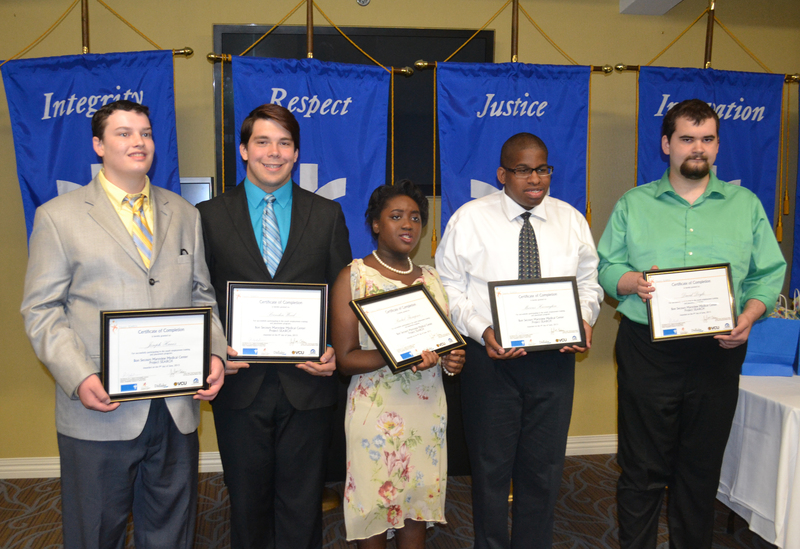 The Portsmouth graduates are David Doyle, Joseph Hanes, Marcus Harrington, Rachel Thompson, and Brenden Wood. Of the 11 graduates, five have been offered permanent employment in their respective communities.